A Scholastic Book Fair at Tipps! On Monday, April 16th the library opened its doors welcoming customers to shop the last book fair of the year for Tipps. Stock up on your favorite books, magazines, cookbooks, craft sets, etc. for summer reading and entertainment while the sale lasts! Special Event: BREAKFAST WITH BOOKS on Friday, April 16th from 7:30 am - 8 am. 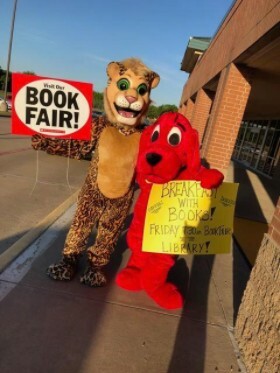 BOOK FAIR WILL CLOSE ON FRIDAY AT NOON! Thank you for supporting Tipps Library!